There’s something our clients have encountered many times throughout the years (and we’re betting you have too – or will one of these days): venues with onsite or preferred Audio Visual services providers and clauses buried deep in the contract that obligate you to use these often overpriced options. 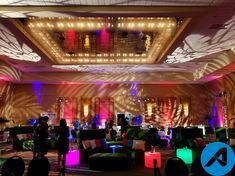 We prepared the event contract clauses below to allow professional event and meeting managers like you to continue partnerships with your own Audio Visual Services Suppliers, in any facility, without additional fees or charges. If you don’t currently have an AV & Production partnership, clauses can be modified to allow competitive bids, for A/V services, in a facility; in other words, to keep all your options open! There are two separate clauses for your use, depending on where you are in venue negotiations. It’s best to make your intentions clear BEFORE you make your final venue selection by including Option 1 (below) as part of your RFP process. But all is not lost if you’ve already selected a venue. Go ahead and submit Option 2 as an addendum for inclusion into any facility contract and hang tough. We’ve found most venues will negotiate this in the contract one way or another. Due to the unique nature of our members’ needs and our meeting program format, CLIENT NAME has a long-term partnership with a professional AV / Production provider that is familiar with the needs of our attendees & executives. We will plan to utilize their services for much of our unique audiovisual meeting requirements. They in-turn may rent equipment and/or labor from the in-house provider to augment their needs while on-site. When replying to this RFP, please exclude any fees or charges or requirements to the CLIENT NAME or our AV partner. Recently, some facilities and their “in-house” AV companies have instituted a variety of clauses and fees that appear punitive without providing a service or direct benefit to CLIENT NAME or our AV Partner. The information below has been prepared to remove any of those clauses at the bid or RFP phase of site selection. They will also be included as an addendum in CLIENT NAME final signed contract. CLIENT NAME meeting attendees have unique Audio Visual & production needs and therefore we have an AV provider that has been a reliable production partner for several years. CLIENT NAME reserves the option to use our own AV provider for all of our Audio Visual & production needs with no additional charges, fees or penalty of any type to CLIENT NAME or our AV partner. This addendum is understood by the hotel/meeting facility and supersedes any other items in this contract to the contrary. It is incumbent upon the facility to remove these types of clauses from any proposals prior to submission to CLIENT NAME. CLIENT NAME expects the facility to openly bring them up for a detailed discussion and approval prior to including any of them within our final agreement. How to Engage Remote Employees in Live Streamed Meetings	10 Venue Negotiation Points – Don’t Leave These on the Table!